Two months into 2013, and Windows 8 continues its slow but steady growth. Windows 7 posted growth after suffering its first depreciation in market share since its launch in 2009. The latest market share data from Net Applications shows that February 2013 was a decent one for Windows 8, which gained 0.43 percentage points (from 2.36 percent to 2.79 percent) while Windows 7 regained 0.07 percentage points (from 44.48 percent to 44.55 percent) after losing a sizeable 0.63 percentage points the previous month. In January, Windows 7 lost market share for the first time since its release, just a month after passing the 45 percent mark. It looks like it may never reach that point again. While Windows 7 slightly regaining share is not too surprising (there are still PCs being sold with the operating system), Windows 8 isn’t growing as quickly as some would have hoped. 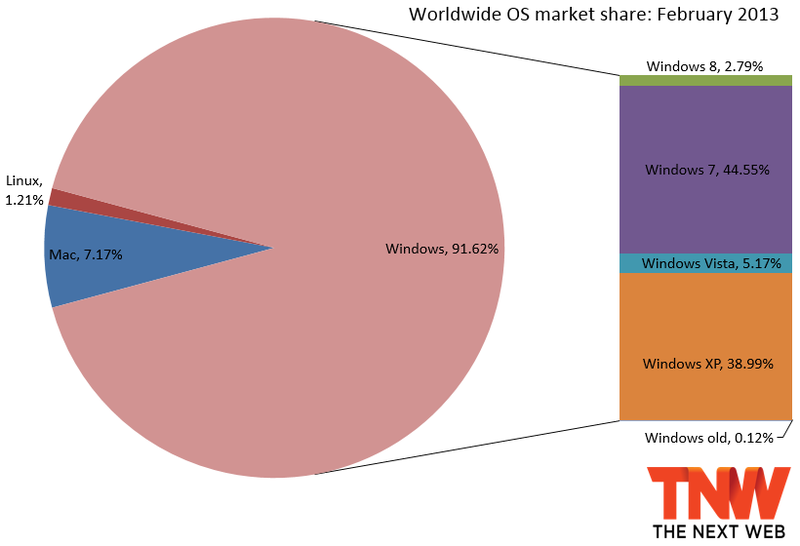 Windows 8 grew 0.66 percentage points in December, meaning both January’s and February’s gains were smaller. With the Windows 8 upgrade deal for $15 expiring at the end of February, it will be difficult for Microsoft to avoid a slowdown in sales. It will be up to the students to take advantage of the $70 price tag and of course for OEMS to draw in consumers with great hardware. It’s still not clear if Windows 7 did indeed peak at the 45 percent mark, but we’ll know that for sure next month. As already mentioned, January was the first time Windows 7 lost share since its release (or rather since a beta leaked on BitTorrent in December 2008) and everyone will be looking at March to see what happens next. Windows Vista meanwhile slipped 0.07 percentage points (from 5.24 percent to 5.17 percent) and is largely expected to fall under the 5 percent mark soon. Windows XP lost a solid 0.52 percentage points (from 39.51 percent to 38.99 percent), so there is definitely some good news for Microsoft there. At the end of 2012, Windows managed to increase its market share after six months of losses, mainly thanks to Windows 7 and Windows 8. In 2013, however, Windows is back to losing share. 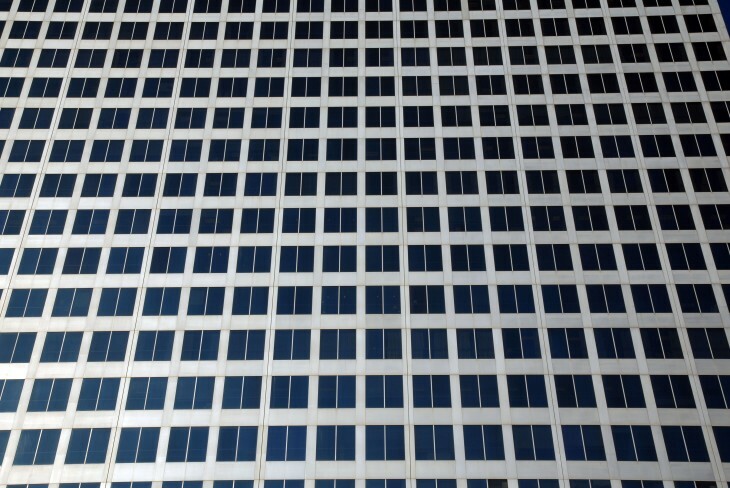 Between January and February, Windows lost 0.09 percentage points (from 91.71 percent to 91.62 percent). This was to the benefit of OS X (up 0.09 percentage points to 7.17 percent) while Linux remained flat at 1.21 percent.